Homemade Italian delicacies, modern comfort and warmth await you at Stadthotel Erding with its restaurant “Trattoria dal Vecchio”. 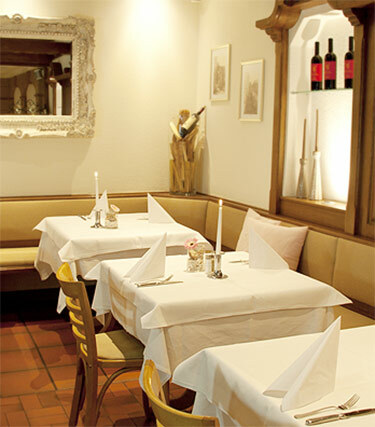 Our family-run hotel with restaurant is located on Erding’s promenade “Lange Zeile”. Enjoy warm hospitality and cuisine – only a few minutes away from Therme Erding, Munich Airport and Munich Fairground by car. By the way – mine host is also the chef de la cuisine! Indulge in Pino’s delicious cooking at lunch or dinner. Try and taste excellent wines ripened under Italy’s sun – in the summer you can of course also enjoy them on our Mediterranean terrace. 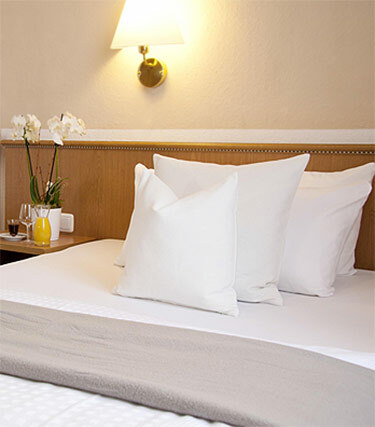 Book your room at Stadthotel Erding directly and online by using our own booking portal and benefit from best prices, free WLAN, parking in the courtyard as well as a taxi stand and bus stop directly across the street. Whether as visitor to the Therme Erding, as a tourist or as a business traveller, you will soon feel at home in our hotel “Stadthotel Erding” – like a friend of the family. Profit from our business rates for a longer stay. Ask us for a personal offer. Choose between ten double rooms, five single rooms and three triple rooms or junior suits for your stay in our hotel.